Exclusive for our Advanced Options Strategy Blueprint (AOSB) students, this Options Alert is NOT open to the public. With this $497/month subscription, Matt will send out his best options trade each week (usually on the weekends) in text format with a brief explanation via email. In addition to the strategies that Matt has covered in his AOSB program, he may also send out his discretionary trades as well. Given how important it is to communicate the information in a timely manner, there may not be any charts or graphics, just the essentials. So in order to ensure everyone receiving these options trade alerts have the understanding of the strategies involved, this trade alert subscription is ONLY available to those who have completed the AOSB program. No exceptions. 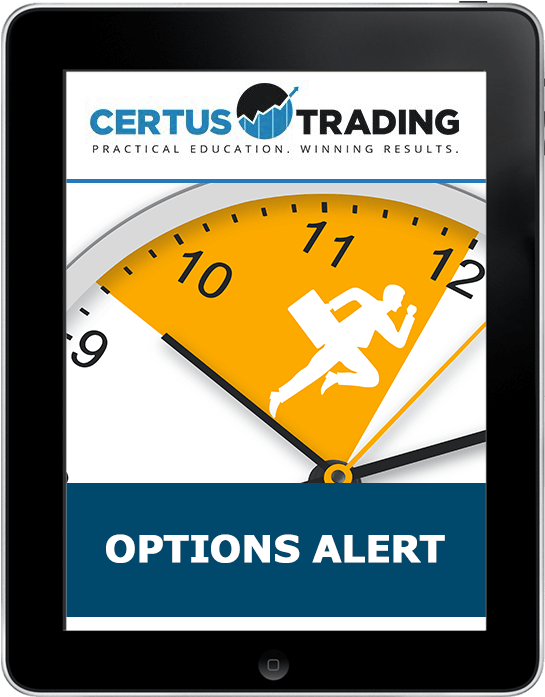 If you have completed the AOSB program and are interested in subscribing to Matt’s Options Alert, you can send your request to support@certustrading.com.